Global Travel Media » Blog Archive » Top travel destinations for UAE residents this Eid! Top travel destinations for UAE residents this Eid! HotelsCombined, the leading accommodation comparison platform, revealed that UAE residents and expatriates will be travelling to Bali, Europe, Turkey, UK and USA to celebrate their Eid holidays, marking the completion of the Holy Month of Ramadan. The top five destinations picked by HotelsCombined were based on data gathered from travellers who had booked their hotel accommodations as early as April this year to avail the best deals during the upcoming Eid holidays. Comprised mainly of families, couples and businesses, guests selected these places based on availability of high-end luxury hotels, range of dining options, leisure attractions, relaxation facilities and frequent flights from the UAE. Bali is one of the most popular travel destinations of UAE residents seeking the perfect destination for their Eid celebrations. From the white sandy coasts in the island’s South such as the spectacular beaches of Kuta to Bali’s most visited mountain, Gunung Batur, along with a range of temples, palaces and botanical gardens, the natural beauty and culture of the country is always on display. Bali attracts all kinds of travellers from the budget traveler to the wealthy, including those travelling with family groups, honeymooners, clubbers, shoppers as well as those seeking art, culture, historical places or secluded beaches. UAE residents travel to Europe to enjoy the cooler climate, visit scenic sightseeing spots and discover new places. From Paris to Prague, Rome’s awe-inspiring Trevi Fountain to Monet’s famous Florence Cathedral, shopping in Milan, visiting Moscow’s Red Square and going on Madrid’s food tours, there is so much to explore when it comes to the beauty of the continent. Other European cities to visit are Amsterdam with its famous coffee shop culture and bike rides along the city’s canals; Venice’s gondola rides, theaters and notable eateries to Prague’s fairy-tale setting with its Gothic architecture and affordability. Turkey is where East meets West in a flurry of spices, minarets and museums. Straddling Europe as well as Asia, cultural aspects of both converge in its largest city Istanbul, which is a firm favourite among Gulf travellers. It boasts modern transportation networks, delicious cuisine, rich culture and world-famous sites such as the Topkapi Palace and The Blue Mosque. Enjoy a deeply nourishing scrub in the Ottoman bathhouses, then take a ferry across the Bosphorus and explore Üsküdar on the Asian side of the city. Additionally, its average temperature of just under 23 degrees centigrade is a breath of fresh air for the average UAE resident. The United Kingdom, made up of England, Scotland, Wales and Northern Ireland, boasts of several destinations, each with something unique to offer. 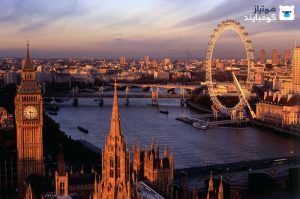 England – birthplace of Shakespeare and The Beatles – is home to the capital, London, a globally influential centre of finance and culture. England is also site of the Neolithic Stonehenge, Bath’s Roman spa and centuries-old universities at Oxford and Cambridge. Edinburgh in Scotland is the second-most popular spot in the UK. From its historic old town charm to the raucous festivals and striking landscape of waterfront and hills, Edinburgh is excellent for everyone. Most popular activities with UAE residents include shopping at Harrod’s and the East End in London where the millennials go for the good nightlife. Alaska, Boston, California, New York, Miami and the other 45 states have an amazing variety of attractions to offer. Be it the Golden Gate Bridge, the Lincoln Memorial, Grand Canyon, Hollywood Boulevard, or even Central Park, the United States of America does not disappoint the ardent traveller. From the beaches of Honolulu to South Dakota’s Mount Rushmore National Memorial, or even Manhattan’s Times Square, every state in the US has something to tempt you. For those who haven’t been to this nation, it’s your turn to be Columbus. 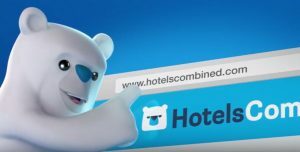 To search for the ideal accommodation for your visit to these destinations, go to HotelsCombined at www.hotelscombined.ae, allowing you to find the best hotel deals from the top travel sites in one simple search.